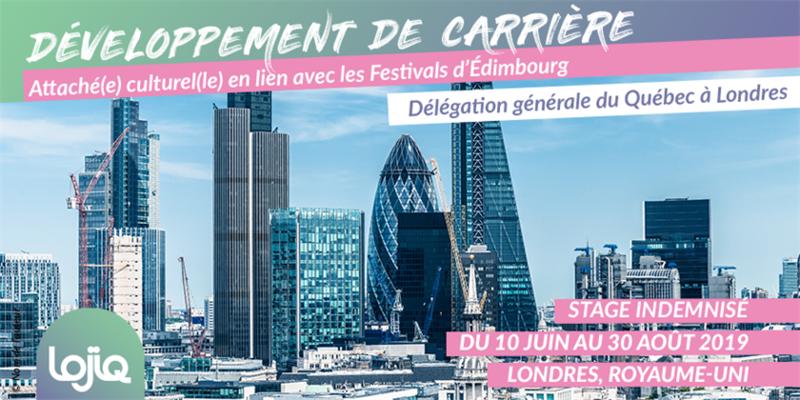 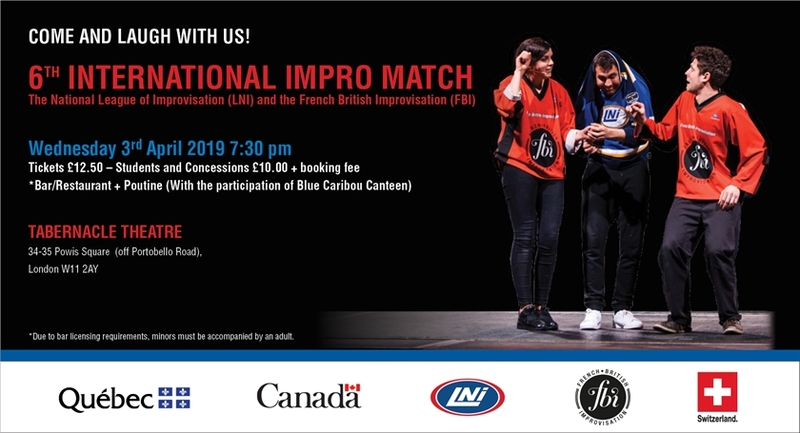 The Cultural Team of the Québec Government Office in London is proud to announce the publication of the latest edition of the Québec Culture brochure for the UK, Ireland and the Nordic countries. 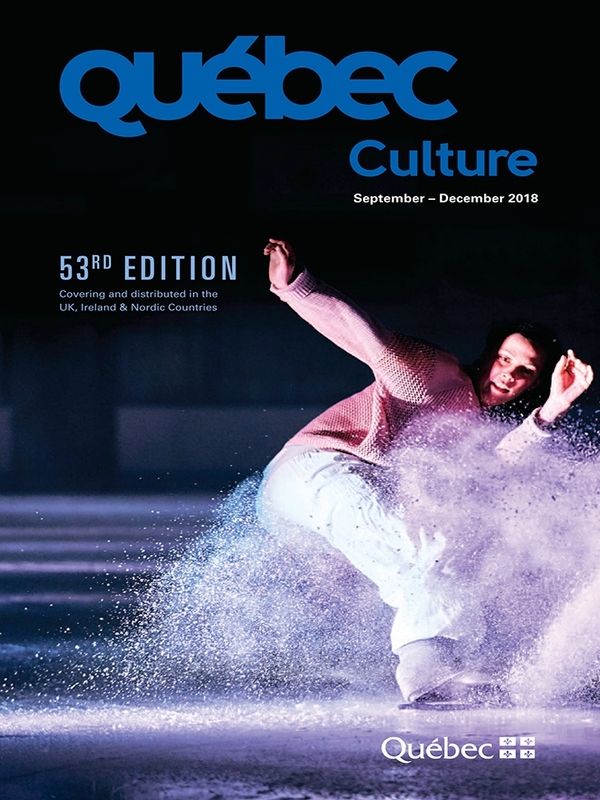 After a summer packed with Québec cultural activities in our territory, (including fantastic showcases and many rave reviews for our artists and creators at the Edinburgh and Stockholm festivals), we are delighted to share with you the marvellous selection of Québec cultural events coming up during the next few months. 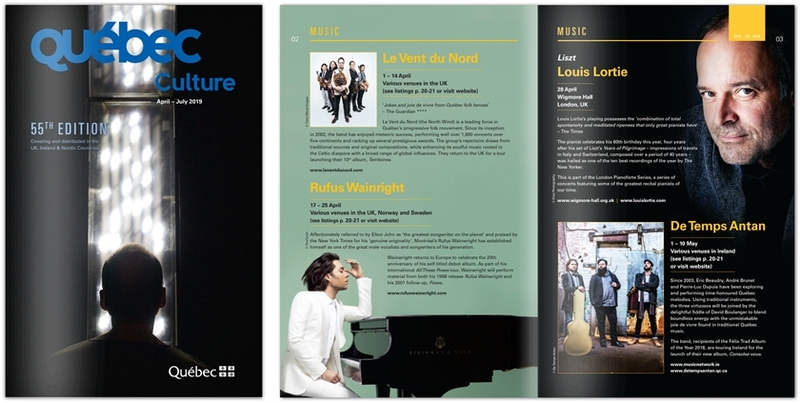 The brochure is full of activities in all the different artistic sectors, including a focus on Québec drama presented by the Finnish National Theatre, an important Québec literary delegation at Festival America, a Québec showcase of digital arts at the Watermans Arts Centre, and the premiere of Le Patin Libre’s latest artistic creation, which will be shown at the prestigious Dance Umbrella Festival in London.